we have been working on a padded leather console armrest for the 2010-13 cars and we now have one we are getting ready to launch. getting it up for sale is still in the works. it will be a cover that will install over the original lid and can be removed without any trace. it will have the same 1/4" commercial padding as the 05-09 cover, 2 top stitched seams and will have a few material options. 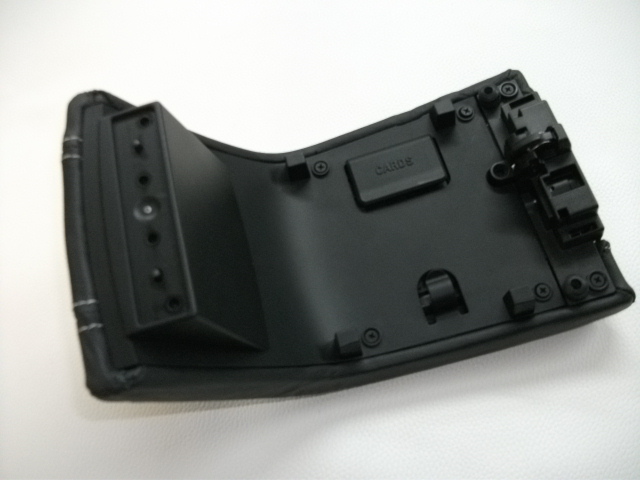 we have one installed on a car and are waiting for a few pics but he said it fit great and functions good. 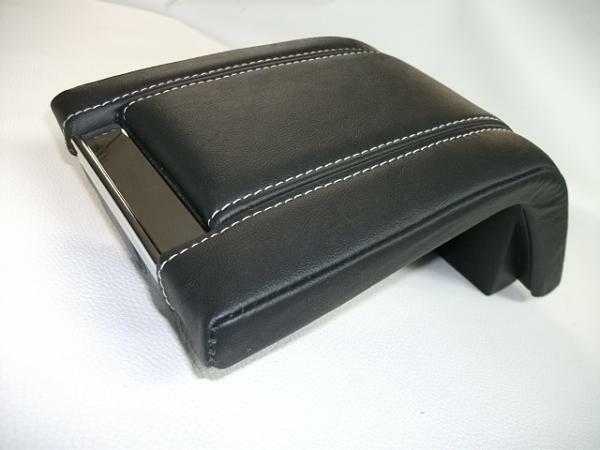 also working on getting the oem leather for the 2010-13 stangs too. what i need to know is is the majority of the leather in the newer cars a smooth grain? or a pebble? who has what??? our test part(s) we made from the smooth aftermarket that we have. we are gonna drop that leather pretty soon and go with a 2010+ oem smooth charcoal that doesnt hardly have a grain pattern to it, very nice material for sure. fords also offered a pebble grain for the 2010+ that has a huge pebble grain. Last edited by amustangrocks; 2/28/13 at 07:25 PM. I have the smooth grain dark charcoal (Premier/401A) w/ blue stitch and want a cover. thanks you guys, i`m gonna get the material nailed down and ordered in the next week or so and all the details worked out and i`ll start a new thread when its up for sale. we had to run the stitch lines straight off the rear. we tried to match the indent line in the U shape but it requires a huge waste of material and pucker issues with the tight curves. we think it really looks sharp like it is. Yes! get the 13 material correct and I know many will buy. Let us know when it's up! I have smooth Saddle. Any chance you would make it in Saddle? 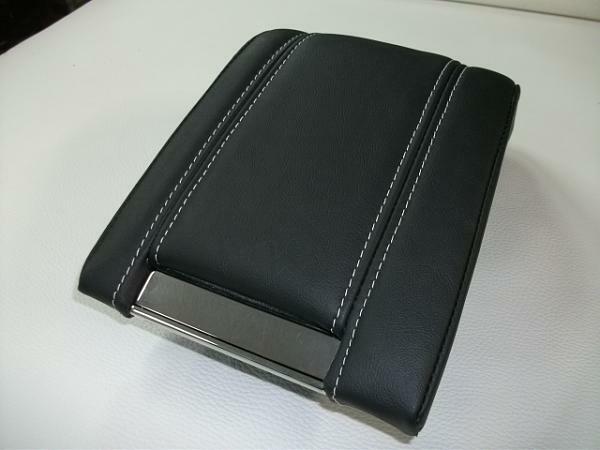 Will this additional pading interfere with the cup holder lid and the other part of the console ? Last edited by Dineau; 4/1/13 at 05:27 PM. Assuming the price is right and how easy it is to install, I'd definitely get one of these. I tend to rest my hand on the shifter and my elbow sits on that door. Mine is smooth charcoal with creme insert stripe, and yes I am very interested in one of these for my 13. I have been looking for something like this for a year! My Recaro's are smooth black leather with black stitching please! Last edited by jskup1; 3/18/13 at 03:27 AM. i would have to check into it. my supplier did not send me a sample for saddle. i`ll call him monday and check on it. the material is tight to the frt edge, the padding is only on the top, and its just on the sides next to the latch. the guy that installed one said if worked out great. I have been looking for something like this for a year! My Recaro's are smooth black leather. we have had alot of people ask about something for the new cars. it took us a while and we had a guy send us his lid to work with just to see if we could design something worthy. (thanks pete) i purchased a new lid to test fit all the parts we make, as we do with all our parts before they ship. needless to say, i`m pressing forward with this part, just need to iron out some details. Hi! I too would be VERY interested if the console were padded in SADDLE. (Change that to: I WILL BUY one (if price isn't a killer) IF it's in SADDLE. for the 05-09 ive got oem parchment and charcoal in stock, and the option to get dove gray, crimson red and med. lt stone in the pebble grain. its taken me over a year to line up the oem materials, but thats the direction i want to go in. 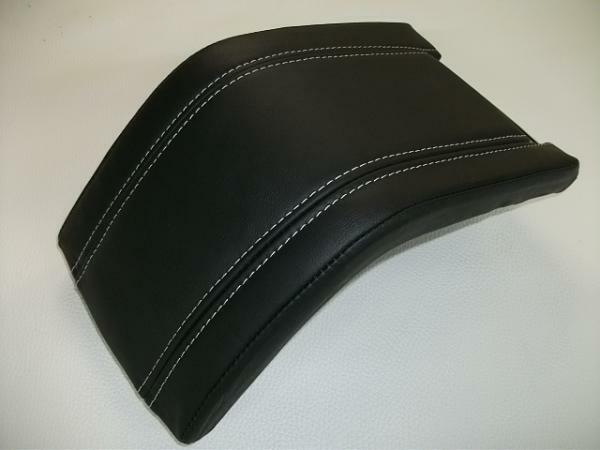 the aftermarket leathers we have are very nice too and cost a little less, so i`ll keep those options. thanks guys for some feedback, really do appreciate it and i`m hoping to make some custom parts for the newest stangs real soon.